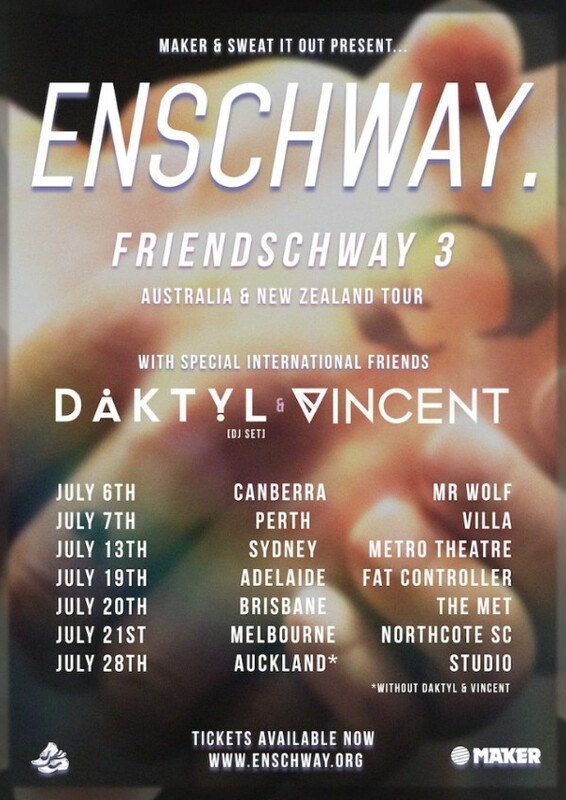 Sydney-based Nic Schweighoffer aka Enschway, has once again teamed up with his mates throughout the global dance community to create the third EP in his infamous series of Friendschway EPs. On board for the third installment is Miami producer Jupe, Aussie artist Perto and the up and coming DJ, Leotrix, coming together to create an insanely eclectic three track EP ranging from EDM festival-ready drops to heaving club bangers. On the lead single off the EP, Nic employs Miami producer Jupe and Australian singer/songwriter Savoi to construct ‘Make It Work’ an epic dance and trap infusion that would fit perfectly into any EDM headliners festival set. Aussie club aficionado Perto lends his production finesse on ‘Lose It’, a definite crowd favourite in all of Enschway’s recent shows, and newcomer Leotrix blends his fresh ears with Nic’s expertise for ‘Can’t Stay Here’ creating an insanely dark and intricate mix. 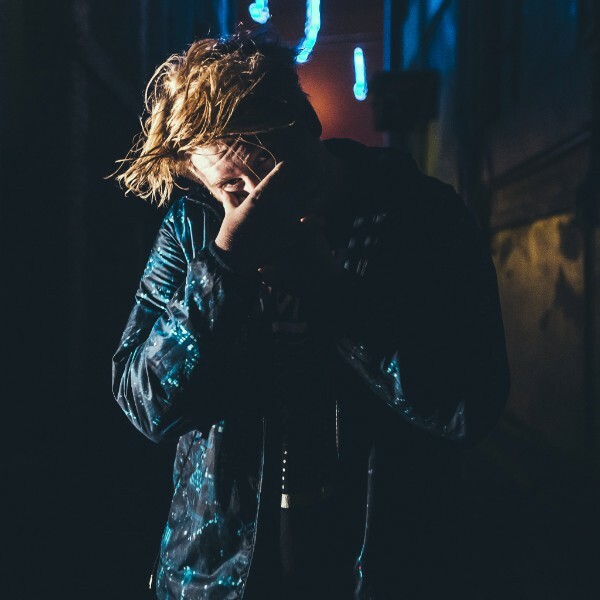 After his absolutely huge set at 2017’s Splendour In The Grass and sold out headline show at Oxford Art Factory, Enschway has been hand-picked as one of the few locals announced for Australia’s nationalListen Out Festival this September. He will also be taking Friendschway Vol. 3 on a solo tour throughout July, hitting all capital cities in Australia including Sydney’s Metro Theatre, plus a special show for New Zealand fans in Auckland. With his previous EPs receiving over 4 million collective streams online plus a run of reviews from YourEDM, Run The Trap, inthemix, EDM Tunes, it’s not doubt that Friendschway Vol. 3 will push Nic further onto the global scale, where he has already roused interest from top guns,Diplo, RL Grime and What So Not. Friendschway Vol. 3 is out now via Sweat It Out.